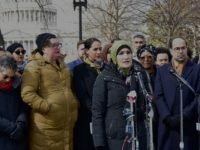 The leading candidate to become the chairman of the Democratic Party shared his Capitol Hill press conference with a leading advocate for Islamic radicals, Nihad Awad, who is the director the jihad-linked Council on American-Islamic Relations. 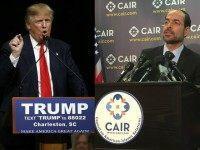 Presidential contender Donald Trump is now the latest Republican presidential candidate to receive negative publicity from The Council on American Islamic Relations (CAIR). 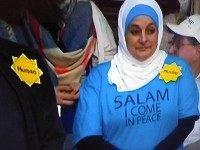 The Council on American-Islamic Relations (CAIR), A terror-tied Islamic advocacy group that fancies itself a civil rights organization, has called for Republican presidential frontrunner Donald Trump to apologize after a Muslim woman was kicked out of one of his rallies in South Carolina Friday night. 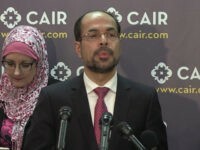 Islamic advocates ejected a Breitbart News reporter from a Sept. 21 news conference in Washington D.C. 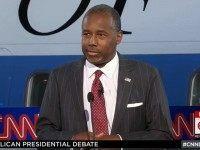 The Council on American-Islamic Relations was hosting the event to complain about Dr. Ben Carson’s criticism of Islamic intolerance. 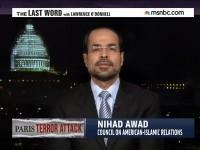 On Thursday’s broadcast of “The Last Word with Lawrence O’Donnell,” CAIR executive director Nihad Awad reacted to HBO host Bill Maher’s remarks on Islam as it pertained to this week’s terrorist attack on the French magazine Charlie Hedbo in Paris.